Got his name from being the youngest of the Mendoza family. Was always considered to be an average wrestler and definitely not nearly as good as his older brother Ringo. Was able to latch onto his older brother's popularity though and headlined many Arena Mexico cards throughout the 80's and early 90's. 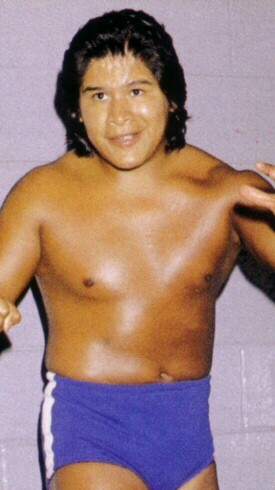 His age began to slow him down along with some extra pounds he put on and he was soon demoted to being a mid-card wrestler on Arena Coliseo shows. By 1996 he had left CMLL and worked mainly on the indepandant circuit where he infamously took on the Mascara Sagrada gimmick for a short time period. Appears to be currently retired although he did return for some UWA/EMLL Reunion shows that were held in 2009 where he formed a team with his older brother once again. This page was last edited on 24 April 2017, at 11:42.